How to reduce your business costs and improve your bottom line? Ninety-six percent of businesses fail within the first ten years of establishment. Over 74 percent of companies are unable to reach their full potential due to lack of proper strategies. Many companies struggle to keep up with their increased cost and are unable to break-even. These figures lay out a very morbid future for businesses. To make sure you don’t end up among the tragic stories, as a business, it is essential that you reduce your business costs and strive to improve your bottom line. Here are ways you can do so. We live in a time when doing business is relatively easier and less costly than before. Why? This is because we live at a time when digital economies are booming. The digital world has opened new doors for businesses. Different industries are now using Ecommerce as a reliable sales channel. You too can reduce your cost by going digital. For instance, it is less costly to manage and maintain an e-commerce website design company compared to a brick and mortar agency. This is mainly due to a high reach of the digital platform which spreads the cost over more audience. Moreover, having a great thought out inbound digital marketing campaign allows you to convert your customers into advocates of your brand. Therefore, rather than you employing expensive marketing campaigns to push your product, the digital world leads to rapid word of mouth which automatically creates brand awareness. This helps in improving your profits while keeping your costs in check. However, to achieve this benefit, you must strategically think about how you can use the digital platform. Advertising is very costly. Slowly, its effect is also getting eroded. This is because customers of today are more aware than clients of the past. They are less trustful of a message when it comes directly from a brand. 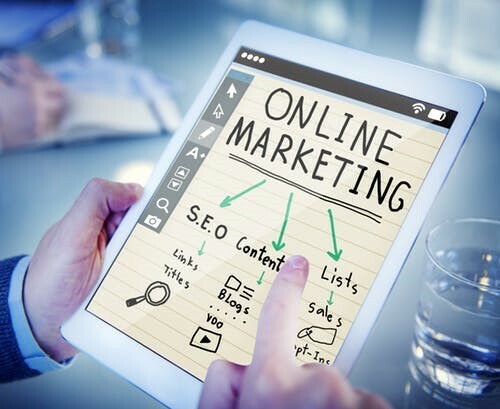 Compared to this, digital marketing methods allow you to give your company credibility at a fraction of the cost of ad campaigns. This can be done via content marketing and influencers. Even ads like PPC and display ads are known to cost less. Not to mention that digital campaigns are highly targeted. For instance, if you have a leather skin shop and wish to attract customers between the age group of 20 to 30. Only those who come under your desired demographics will be shown the ad. This helps in achieving unique high reach while keeping costs low. Since brand messages via digital platforms reach customers during the zero moments of truth, they are more likely to lead to a purchase, thereby ensuring revenue. If high costs are eating up your profit and are stopping you from getting to your bottom line, you must then strive to achieve economies of scale. Economies of scale is a common term in the world of business. It refers to increasing your production to the extent that your costs reach an all-time low. The logic behind this theory is that the more you produce, the more the cost will be spread. Moreover, you will benefit from bulk buying and discounts. Economies of scale lead to low-cost production which in turn helps in eroding competition. With less competition, you can get a more significant chunk of the market, thereby guaranteeing high profits. The Pareto Principle is true. There have been various examples that suggest that 80 percent of a business’s sales truly comes from 20 percent of their customers. Your aim should be not just to acquire customers but to attract high-value customers. Therefore, analyze the characteristics and buying patterns of your top twenty percent customers. Try to acquire similar clients for your business. The more high-value customers you have, the more revenue you will be able to generate. Remember, this doesn’t mean you shouldn’t focus on low-value customers at all. You just need to give your most profitable customers a little more attention. Increasing productivity within the amount of time your employees' work can automatically reduce cost. This is because labor cost tends to be the most significant contributor to expense for any business. To overcome this cost, you must strive to increase labor productivity- i.e., get more work done in the allotted time. For instance, if you have a garments factory and pay your labor on an hourly basis, increasing the productivity of your workers will allow you to get more finished garments per labor in an hour. This will reduce the per product labor cost. When you lower your most significant cost, your profits will automatically improve. Rather than installing expensive in-house servers for your data, you can instead use cloud computing. Cloud computing is relatively inexpensive. You don’t need to worry about software upgrades or maintenance cost in it. Moreover, you can easily access data regardless of where you are. 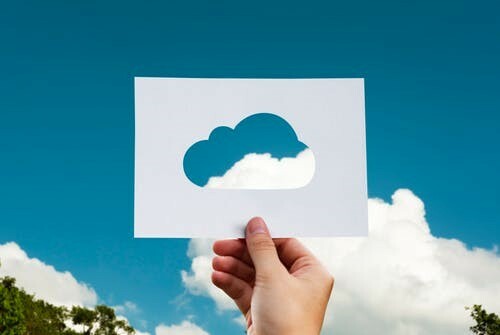 Switching from in-house servers to the cloud will help you in reducing your capital cost as well as IT-related expenses. However, make sure you invest in a cloud software that is safe to use. Your company data should not be compromised. There was a time when everything was done manually. However, now a lot of the work can be done by computers and technology. Rather than employing expensive labor, try to see where you can replace manual labor with technology and computers. Yes, you will have to make an initial investment. However, once you do so, it will help you in reducing cost in the long-run. Take these seven measures to reduce your costs. You can achieve your bottom line if you use the right strategies to get there. Think smartly. Exploit the resources you have. Deliver quality products to your customers while keeping your expenses low.